Ben’s fascination and interaction with animals and the natural environment have been an integral part of his life. Ben grew up experiencing the freedom of a childhood spent exploring the wonders of the Australian bush. He can still clearly recall the excitement he felt as a six year old caring for his first snake. 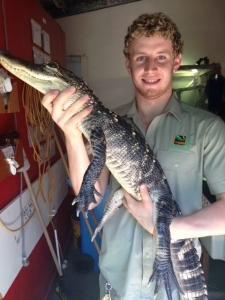 Ben’s family quickly expanded to include a vast menagerie of python’s, lizards, birds, insects, frogs, chickens, dogs and many other native animals who came to share his home over the years that followed. These early experiences fuelled an innate interest in Ben which quickly evolved into a driving passion. Ben became a voluntary wildlife rescuer and continues to care for countless species of native animals as he has done for more than a decade. 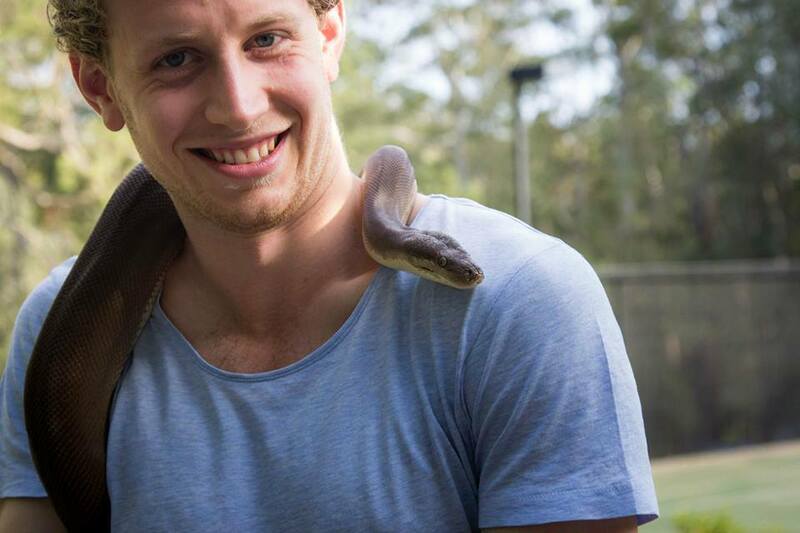 Ben also works in the zoological industry, conducts educational courses about animal husbandry and care of wildlife and has extensive practical experience from a life spent interacting closely with a vast array of animals ranging from reptiles to orangutans. Raising awareness and advocating for conservation drives everything Ben does. He has developed a wide portfolio of media work including numerous television appearances (Sunrise, Ten’s Breakfast and Wake Up programs, Saturday Disney, Enquiring Minds, Creature Features) and a feature role in the movie Rise of the Eco Warriors. Ben’s documentary film work has taken him to Borneo many times where he has worked alongside the local people to fight deforestation and help set up an orangutan rehabilitation centre. Ben is regularly invited to speak to community groups including students, businesses and organisations about wildlife care/conservation and motivating others to realise their dreams. He is a regular contributor to a popular national wildlife magazine and actively fundraises for various wildlife initiatives and remains committed to his quest to save animals and the environment. Ben completed a Bachelor of Natural Science majoring in Animal Science at the University of Western Sydney in 2014. 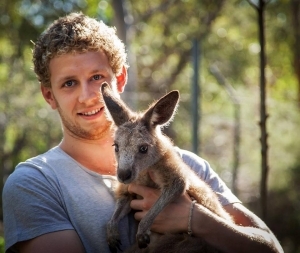 He now calls a wildlife sanctuary home, where he lives in the bush in north western Sydney looking after injured and orphaned native wildlife as the sanctuary manager.